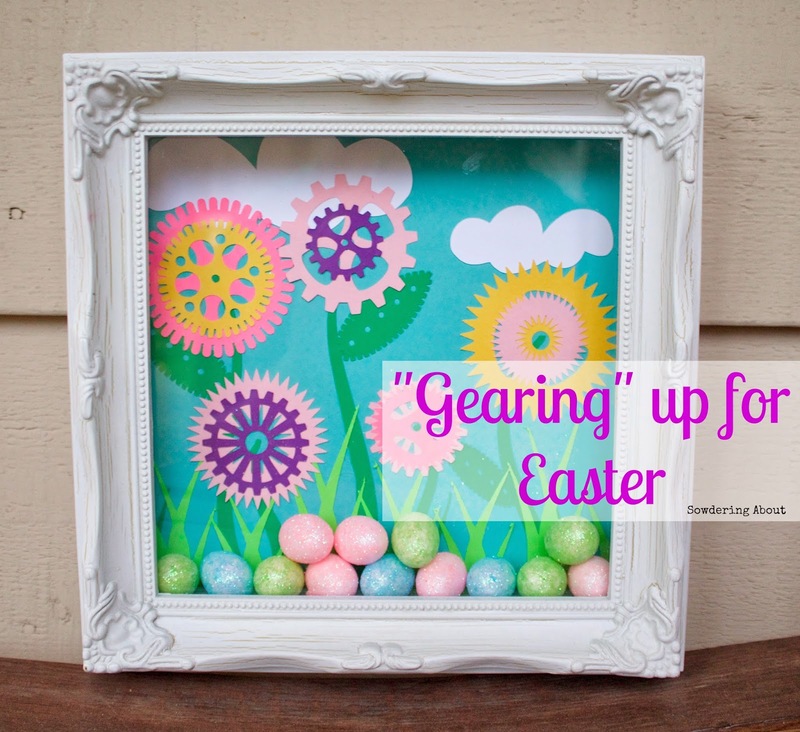 This month I participated in a Crafting A-Z challenge with Crafting in the Rain. 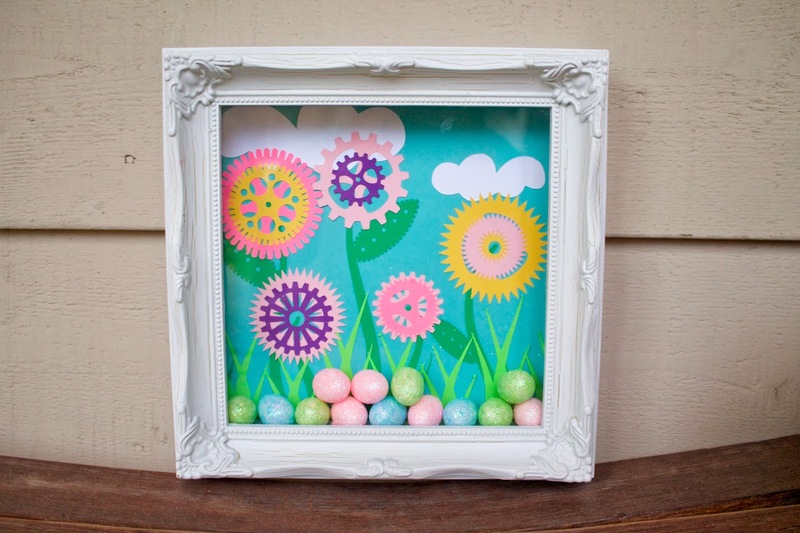 I picked F, and decided my craft would be about flowers. While searching the Silhouette store recently for gears (for a different project) I came across this file and couldn't resist it. 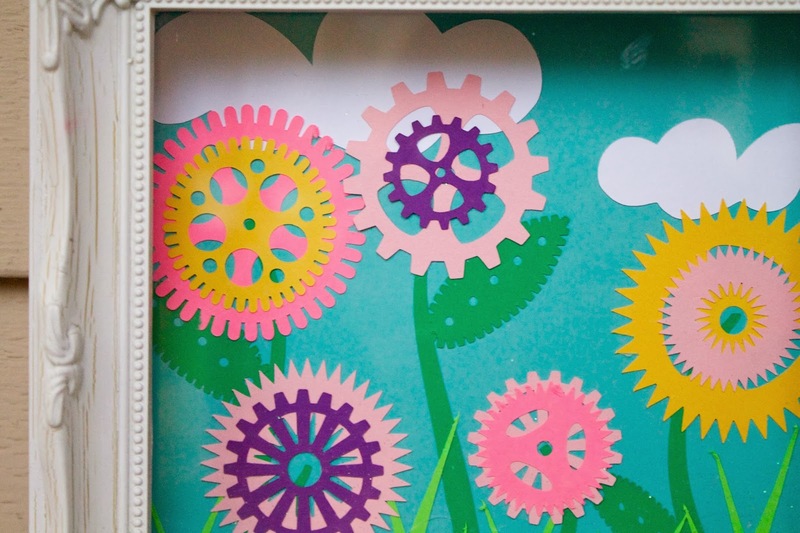 I picked out some spring colors and ran them through my Silhouette and played around with the layout of the gears for a while until I decided this was the arrangement I liked the most. Then, while I was at the dollar store the other day, I saw a little bag full of glitter Easter eggs and I figured they would make the perfect addition to this picture. And to top it off, my neighbor found this shadow box and didn't have any plans for it, so she gave it to me to figure out something for it. I think I did it justice don't you? And so there you have it. 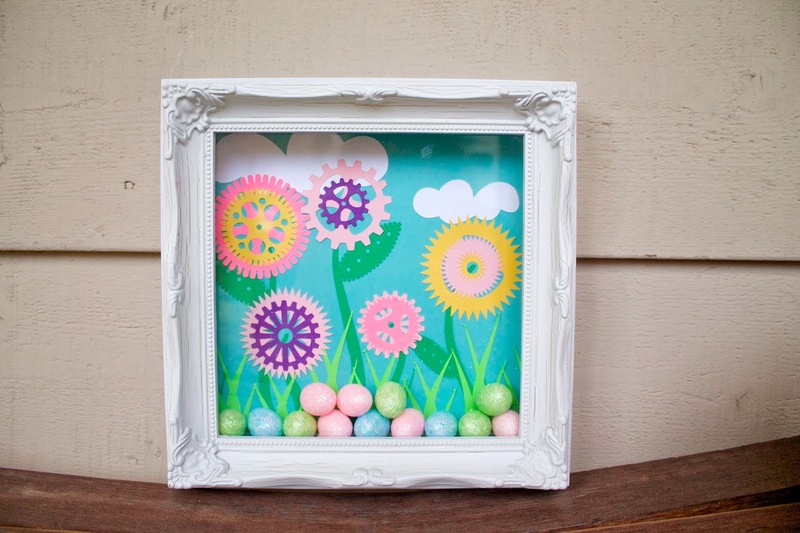 A quick little spring shadow box. It's was under $3 to make and it's going to look fabulous on my wall! 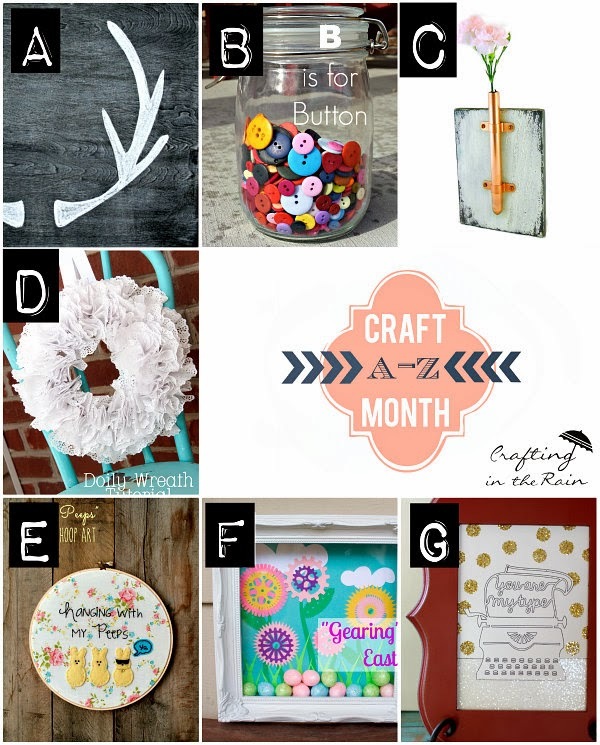 Don't forget to check out the other projects that are being done this month of the Crafting from A-Z series! This month it's A-G, so head on over and check out the other projects! 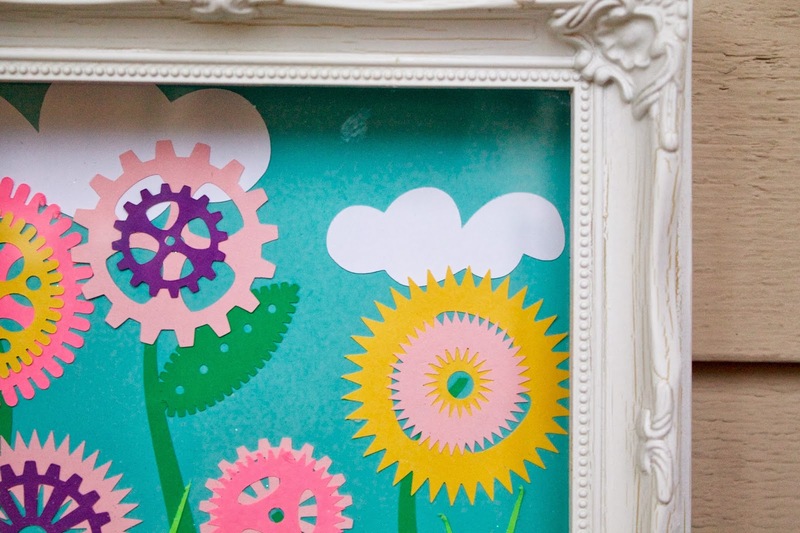 Love the gears as flowers! The colors are so pretty, and nice score on the free box! 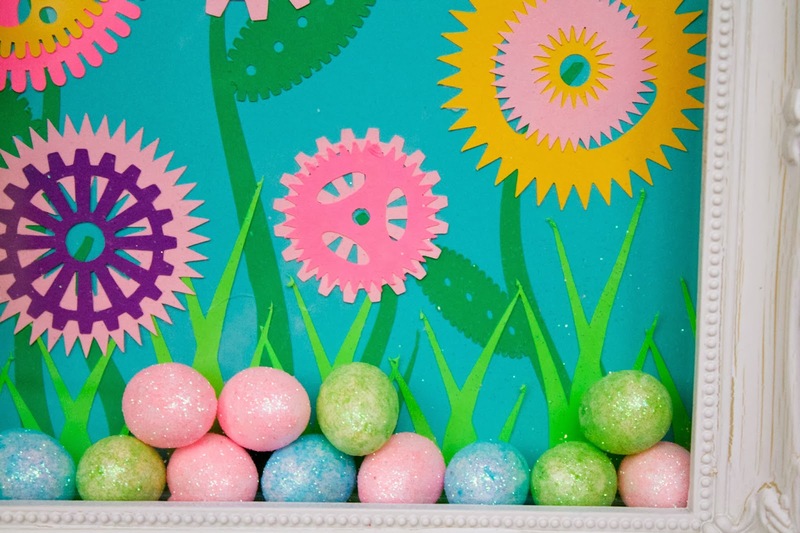 I like how you turned an industrial shape into a cute spring craft! Yay, glad you were able to use the shadowbox after all!